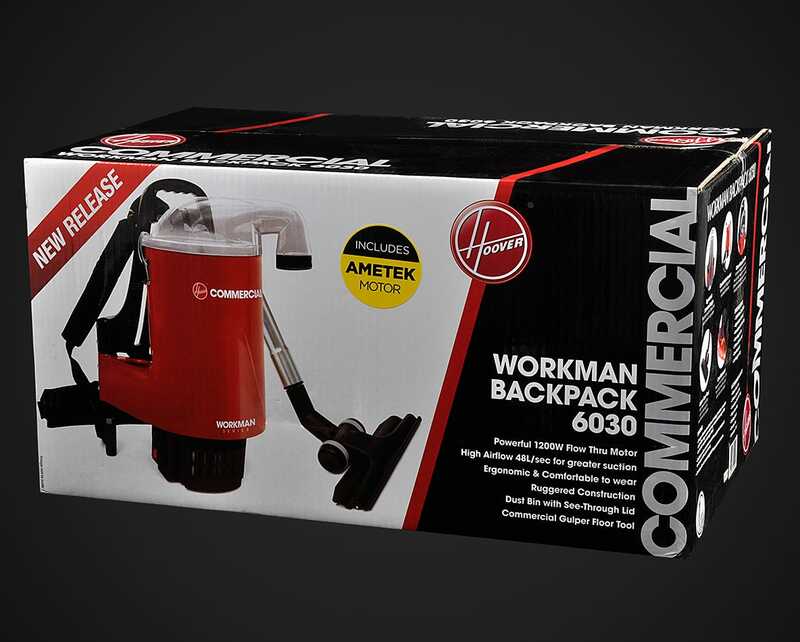 The Workman backpack is constructed from quality materials, including a 1200W Ametek flow-thru motor. 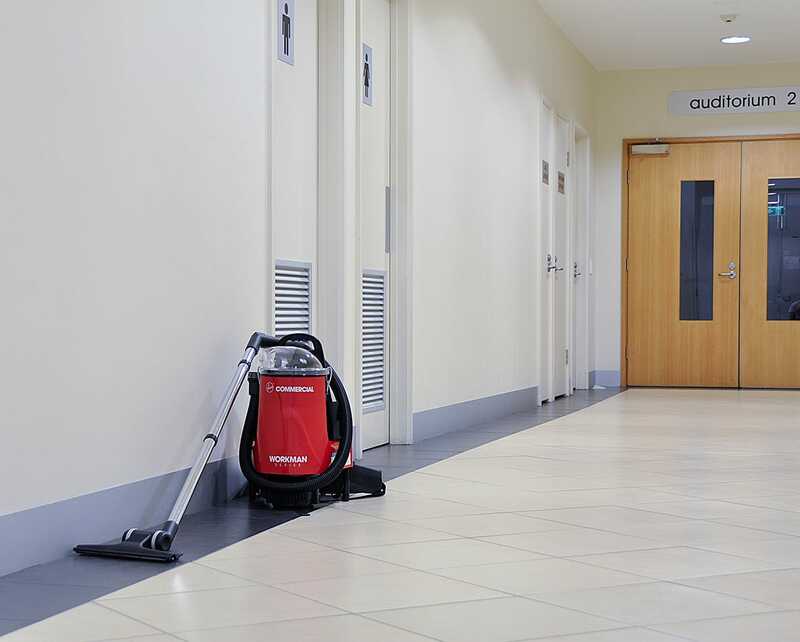 With multi-stage filtration, this backpack vacuum is designed to trap a large percentage of dust particles as you clean in both domestic and commercial environments. 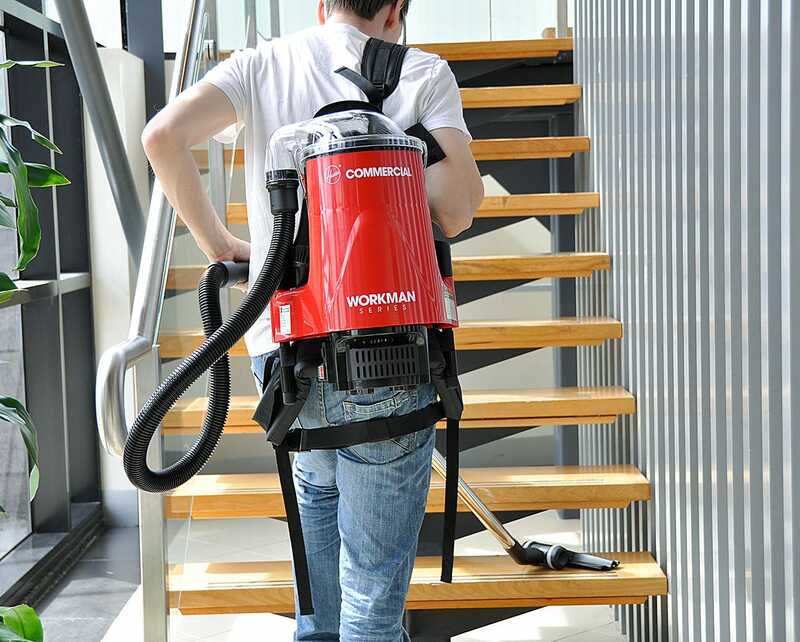 The ergonomic harness has been designed for maximum comfort during cleaning, and allows for easy movement. 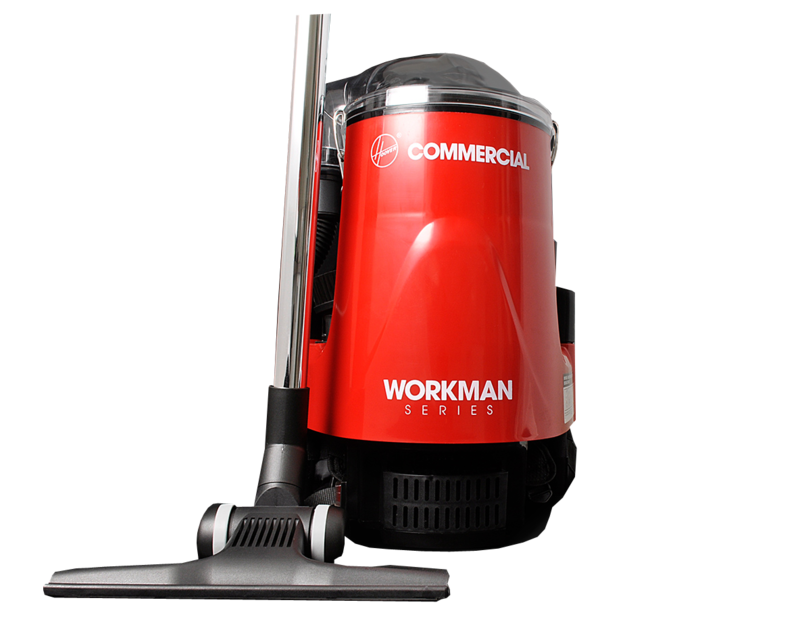 Included with every Hoover Workman is a genuine Gulper floor tool. 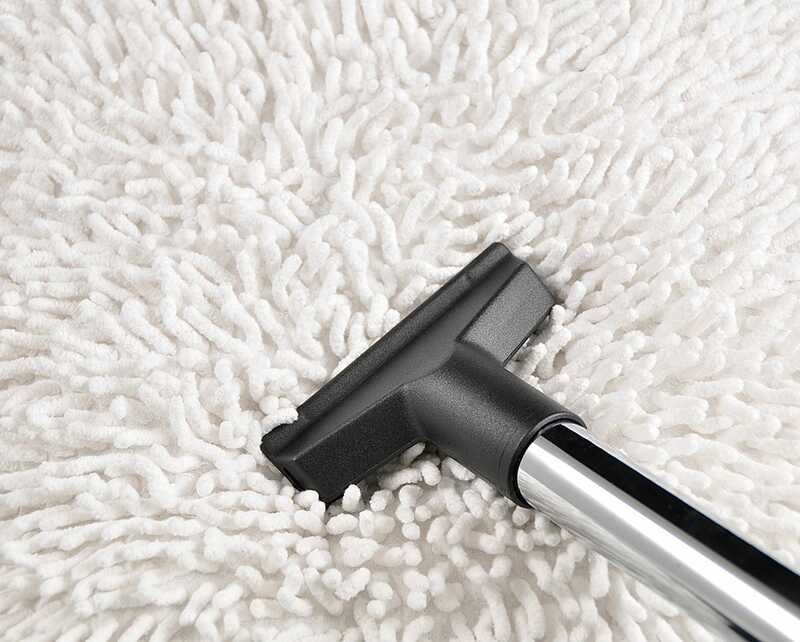 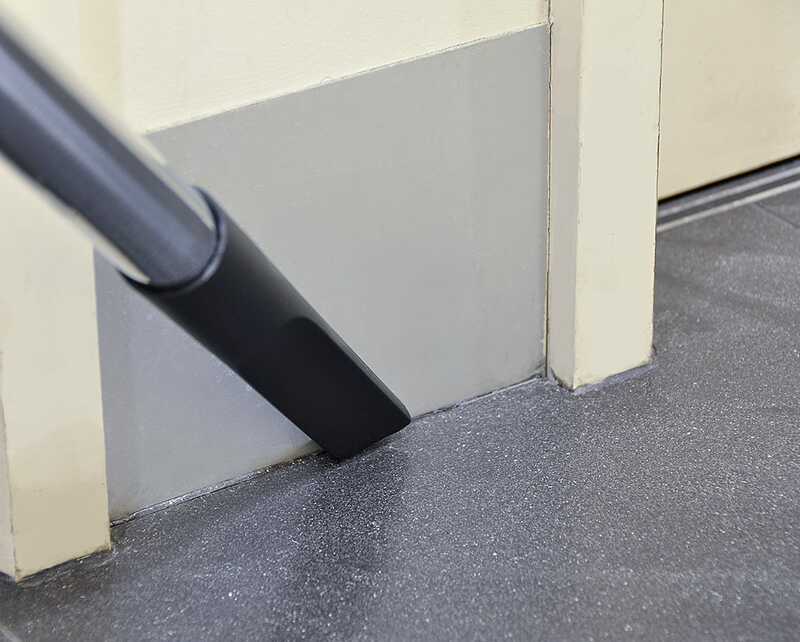 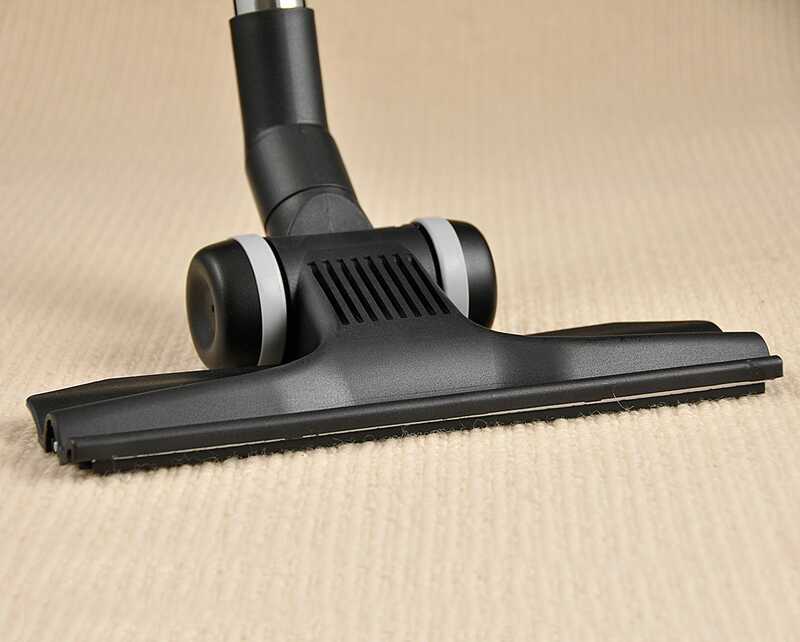 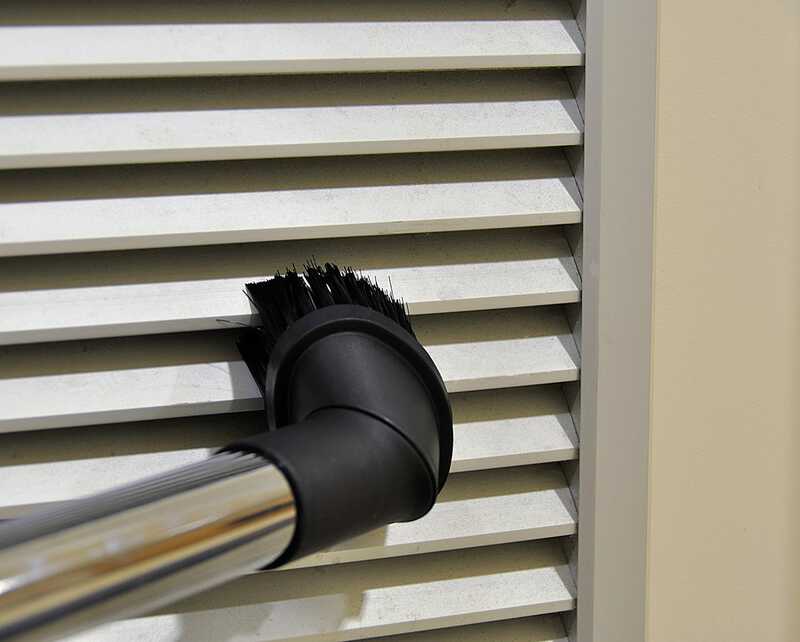 These floor tools have been designed for excellent dust pickup on all surfaces, and are highly durable. 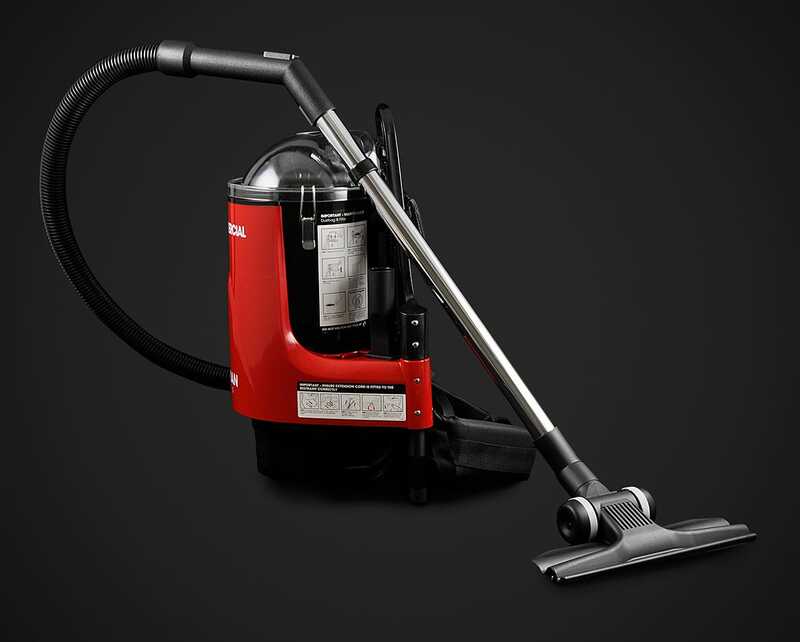 Accessories included with this model as well as the Gulper tool are an upholstery tool, dusting brush and also a crevice tool. 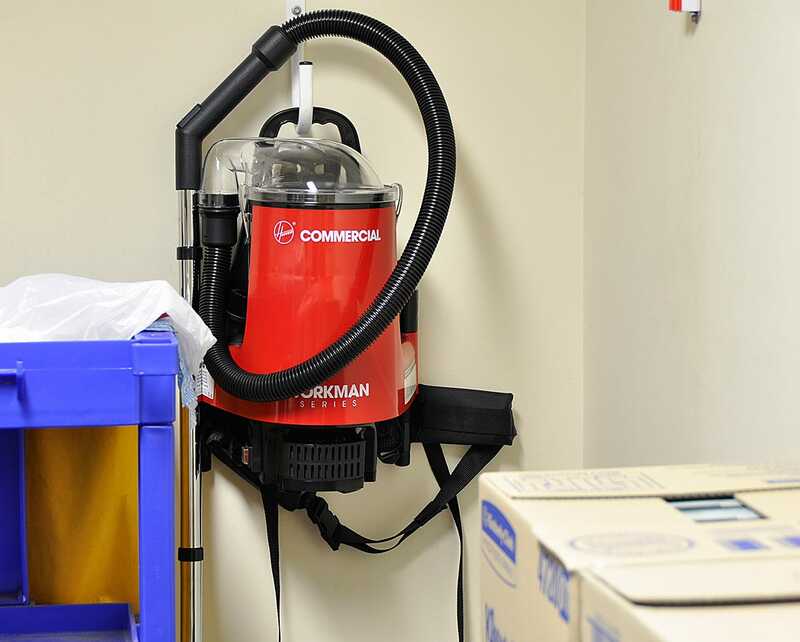 To help ensure user safety, a cord restraint device is included on every unit. 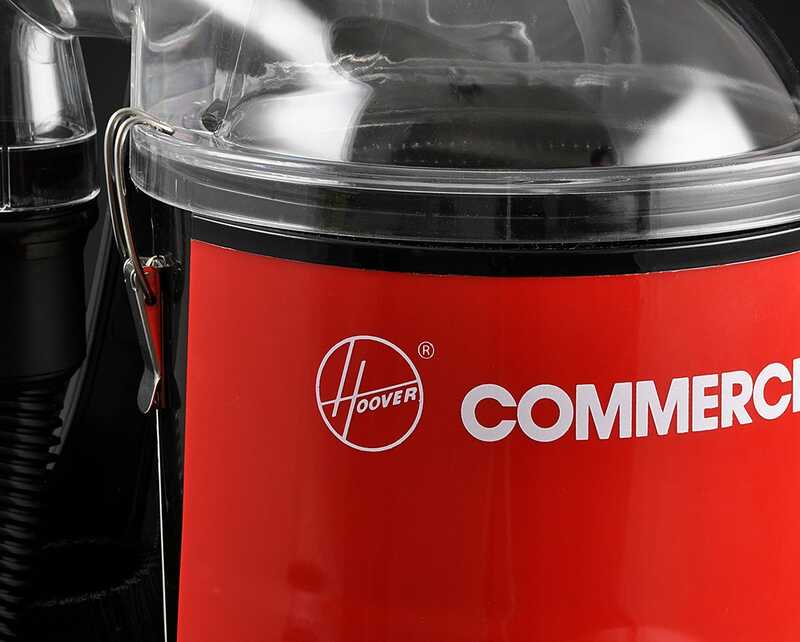 This prevents both accidents and damge to the machine should the user venture too far from the power point. 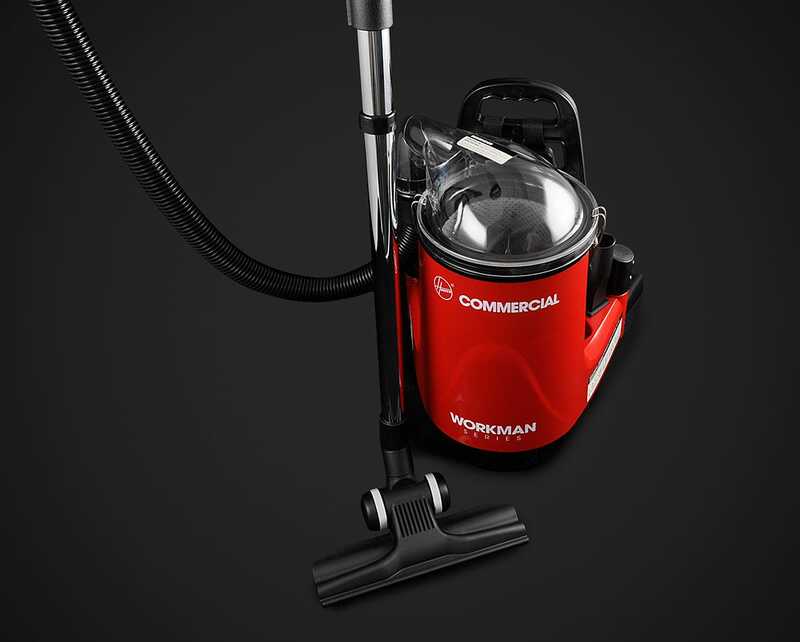 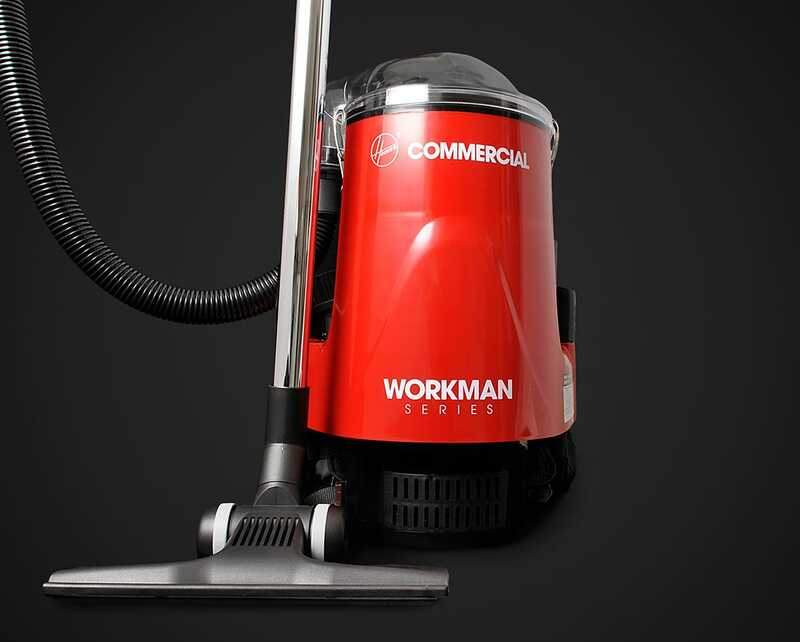 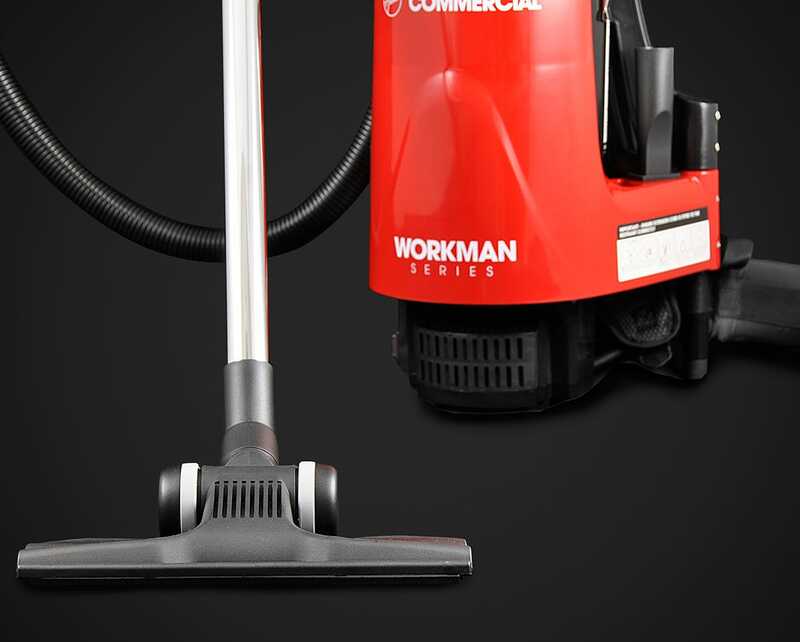 The 6030 Workman Backpack comes with a 1-Year Hoover Warranty.